In a large mixing bowl, place the vinegar onto a paper towel and rub over the bowl and egg beaters to eliminate grease (which can prevent the meringue from rising). Beat together the egg whites and cream of tartar until soft peaks form. Gradually add the sugar and cornstarch while beating and keep beating until stiff, shiny peaks form. Whip in the vanilla extract. Preheat oven to 250 degrees F (120 degrees C). Line a baking sheet with parchment paper (do not skip this step!). Divide meringue into 4 equal portions and form into disks approximately 2 inches high, creating a slight dip in the center for filling later. Bake for 55-65 minutes, or until meringues appear dry and are barely gaining color. 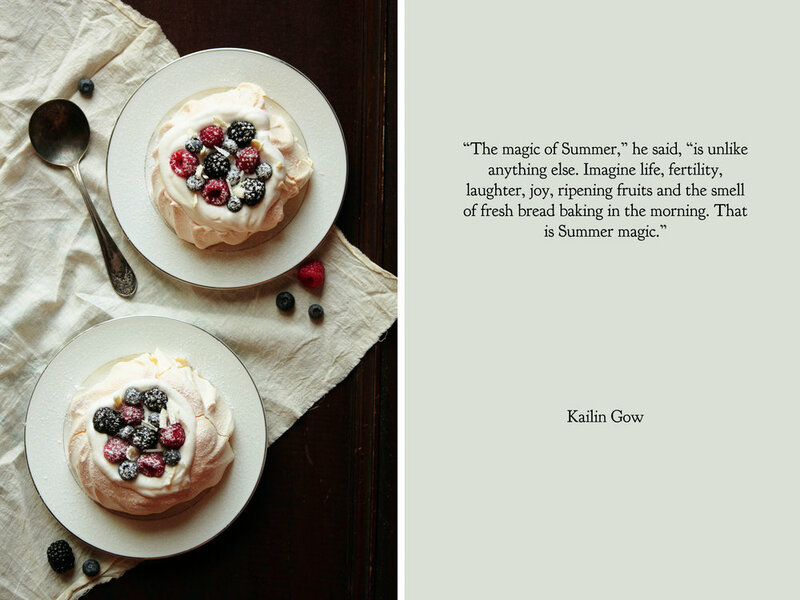 Turn off the oven, crack the door, and allow pavlovas to cool to room temperature before removing from the oven (the centers will fall; do not be alarmed). Very carefully remove from parchment paper and transfer to serving dishes. Meanwhile, whip together the whipping cream, white Creme de Cacao liquor, powdered sugar, and vanilla until peaks form. Chill the whipped cream until ready to serve. Fill the centers of the meringue with whipped cream. Top with fresh berries and white chocolate shavings. Dust with powdered sugar, if desired. Serve immediately.